When you want to get the job done efficiently and professionally, McElroy tools are considered industry standards and have been proven to work time and time again. Instead of relying on a separate dolly and pipe stand, the McElroy PolyPorter® combines both tools in one easy to use yet powerful package that allows operators to load pipe into a fusion machine with minimal hassle. The PolyPorter was devised with the mindset of a pipeline contractor. Hence, it is specifically designed for its intended purpose, and it does a superb job of performing that purpose. Just one person can load a length of pipe without having to worry about potential strain or injury. Upon loading, the pipe is then able to be easily pushed through the roller-equipped hook arm onto a fusion machine. It also includes a convenient jack so the operator can lower or raise the PolyPorter to the height necessary for the pipe to be level, a hugely useful feature if you’re working in terrain that may be uneven. Ready to boost your productivity? 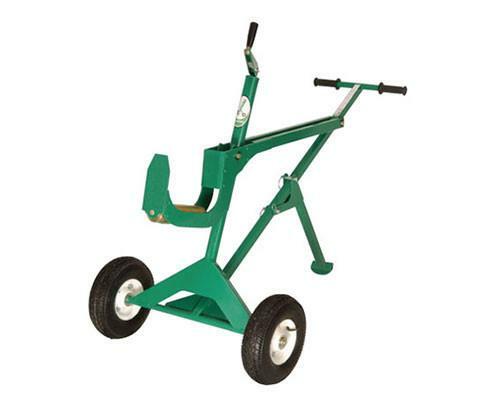 You can purchase the PolyPorter Pipe Handler through our McElroy Parts store.